Newcomer Family Obituaries - Robert Watkins 1964 - 2018 - Newcomer Cremations, Funerals & Receptions. 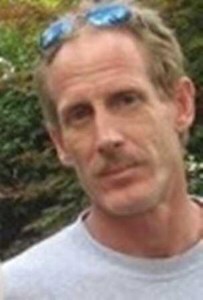 Robert J. Watkins, 53, of Toledo, Ohio passed away peacefully with his family by his side on August 5, 2018. Robert was born October 6, 1964, in Toledo, Ohio, the son of Jerry and Fran Watkins. Bobby “Twin” loved spending time with his family especially his brother/best-friend Jimmy. He enjoyed spending time with his daughter and grandsons which included going fishing. He also enjoyed hunting with his dad and brothers. He cherished his Mother and his “favorite” sister Missy greatly. Bobby was a carpenter and would lend a hand to anyone. He was very good at doing home improvements and fabricating. He was preceded in death by his Father, Gerald; Brother Jerry; Grand-parents, Thelma and John Luff, Ersie and Benton Watkins. He will be greatly missed by his Daughter, Amanda Watkins; Mother, Fran Watkins (Doug Dennis); Brother, Jimmy Watkins, Sister Missy (Denny) Johnson; Grandsons, Landon and Logan; and many nieces, nephews, aunts, uncles, and friends. The family will receive guests on Friday, August 10, 2018, from 1:00 p.m. until 6:00 p.m. The funeral Service will follow at 6:00 p.m. at Newcomer Southwest Chapel, 4752 Heatherdowns Blvd. Toledo, OH 43614 (419) 381-1900. Add your memories to the guest book of Robert Watkins. Missy, our heart felt condolences for you and your family. I remember Rita and I going to one of the little league baseball games and watching the twins play , it was in Asumption Ohio, jimmy hit a double was on second base when bobby got up to bat , he hit a nice triple which drove jimmy in to scored ! Now that was team work. Jerry and Fran where proud parents at that game. Sorry for your loss. Sorry to hear of your loss. Too young. I will MISS YOU Bob , you have been in my life since I was too young to remember. So many laughs we have shared I LOVE YOU MY BROTHER ..... FLY HIGH ?? ?? Keep an eye on Jim he will need you by his side. ?? My prayers are with the family at this time of their loss. I knew Bobby as the youngster as well as the rest of his family love them all very much and miss them to this day. We had some good memories may you rest in peace Bobby.